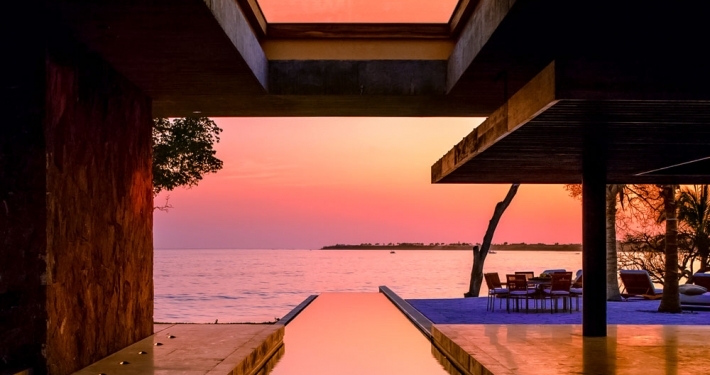 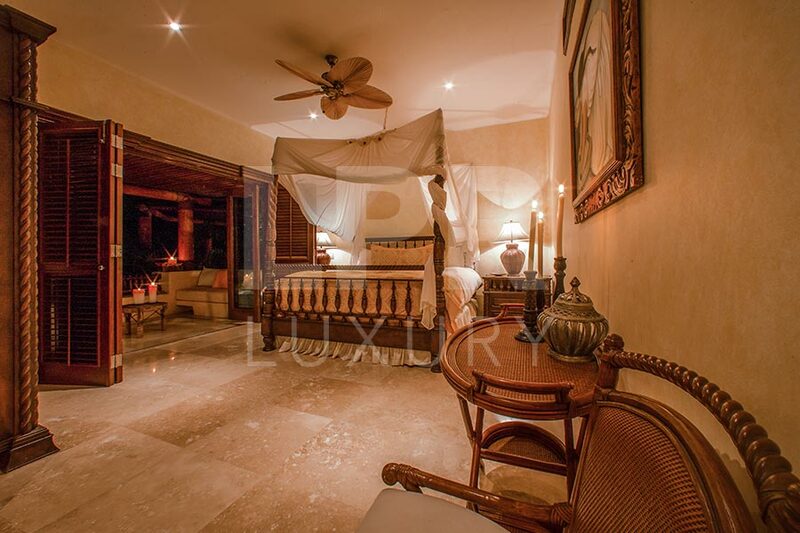 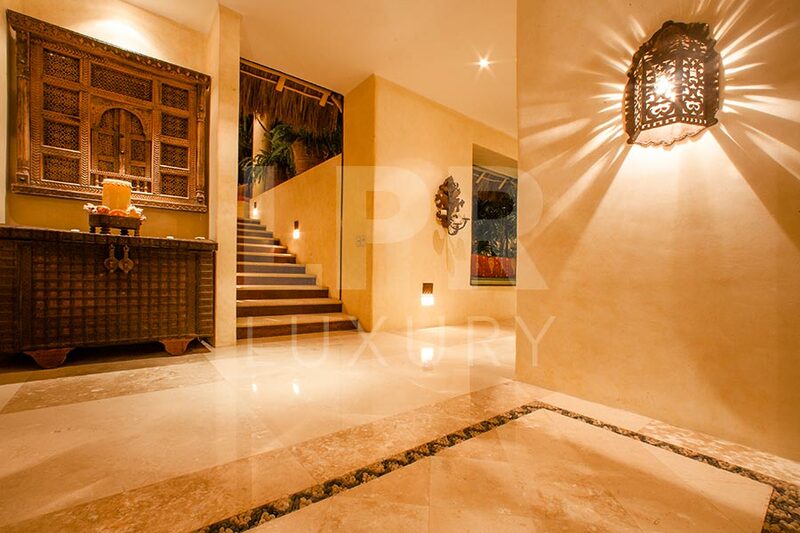 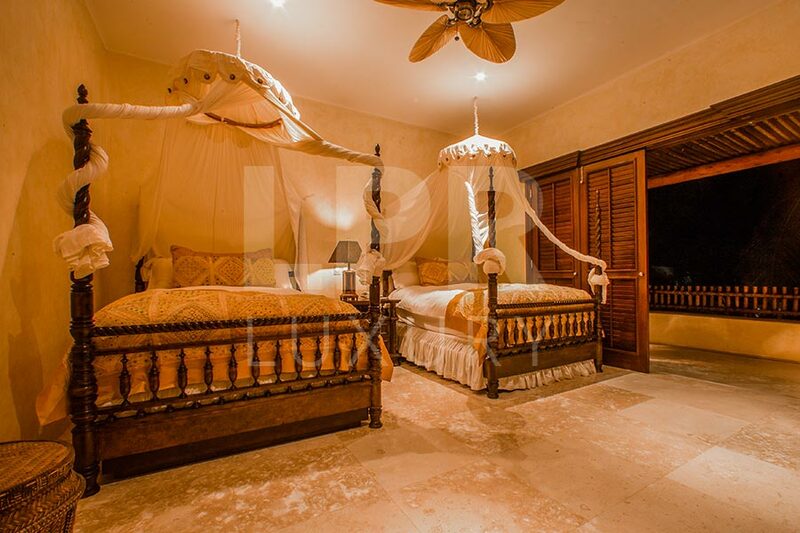 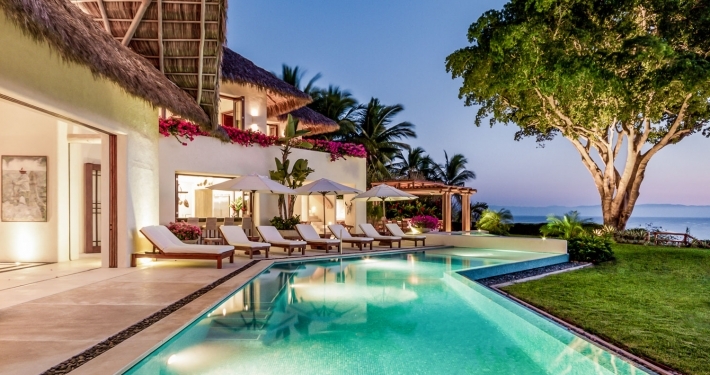 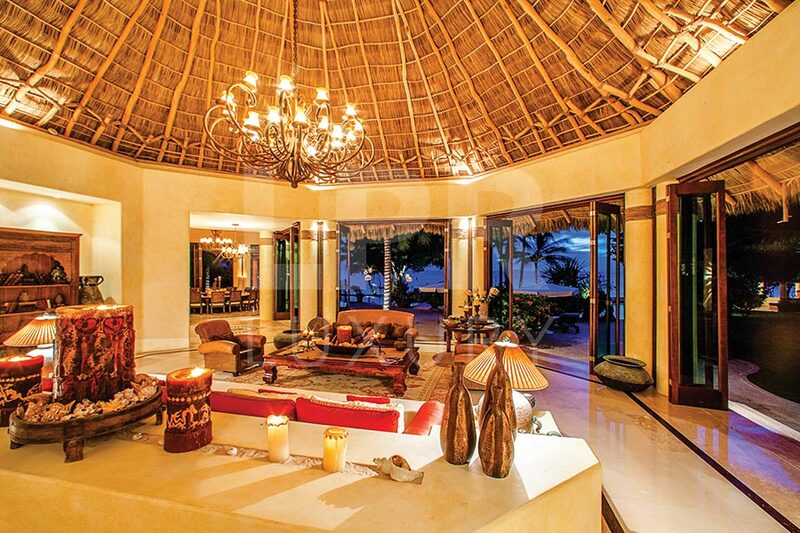 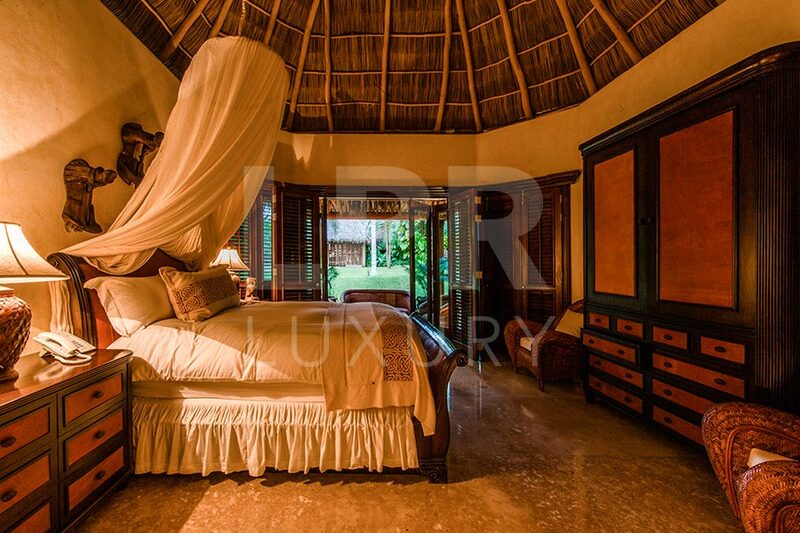 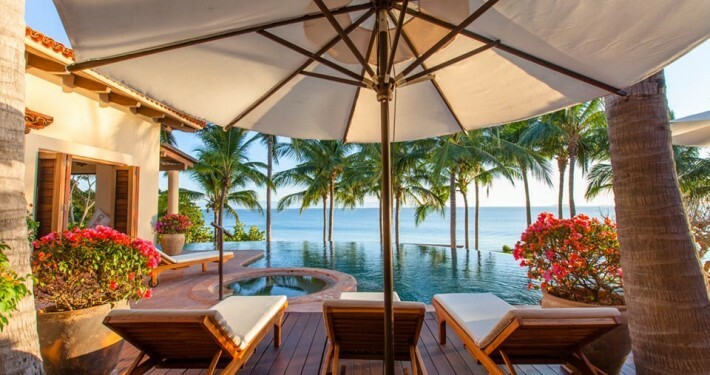 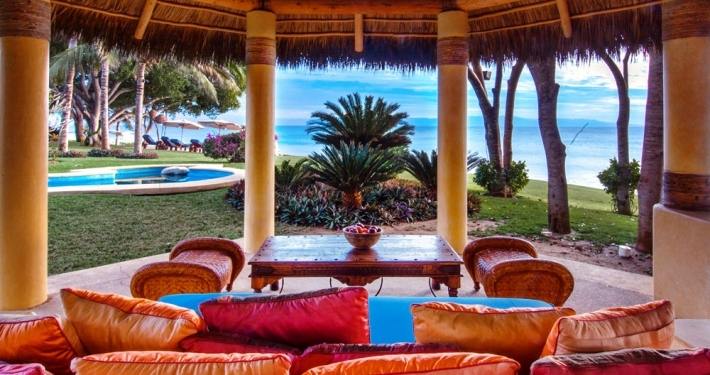 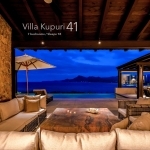 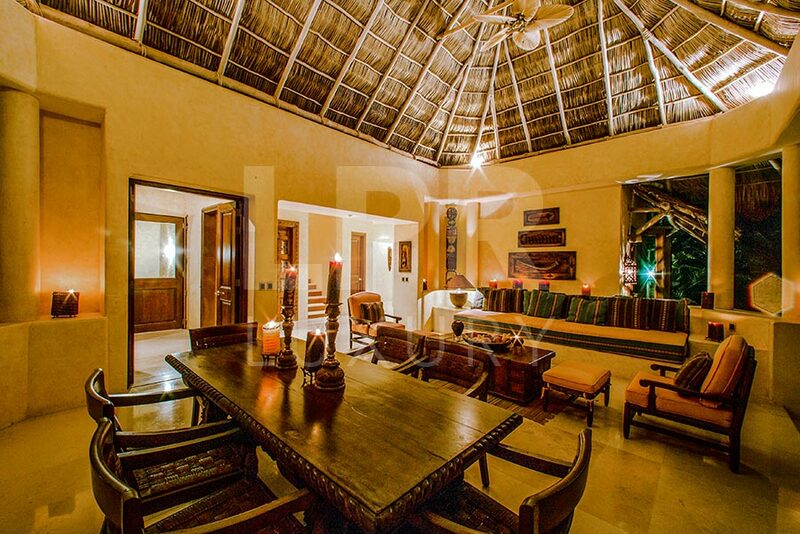 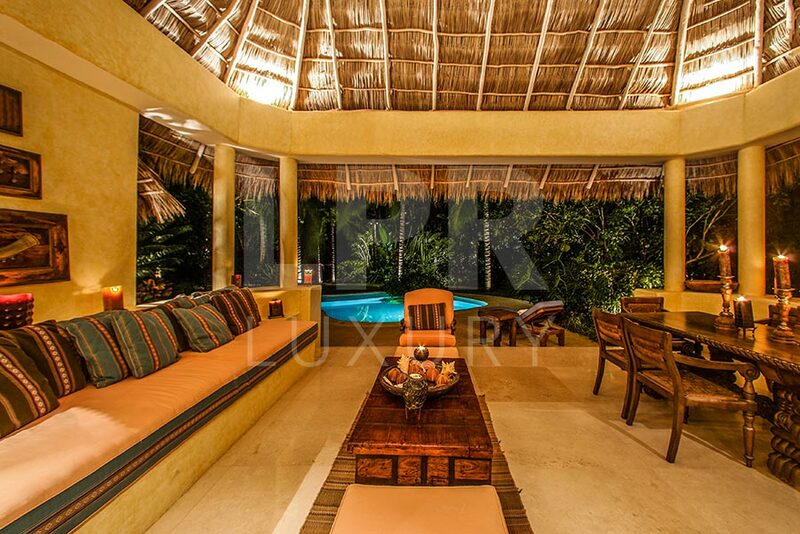 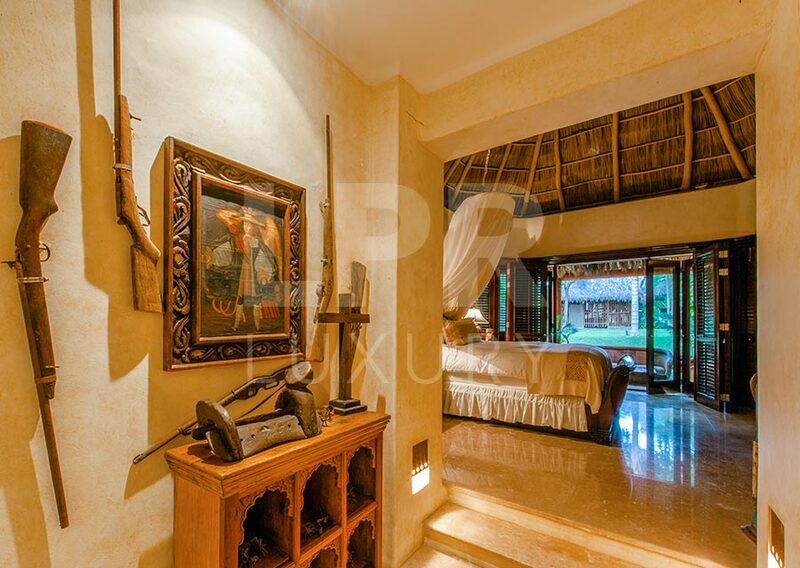 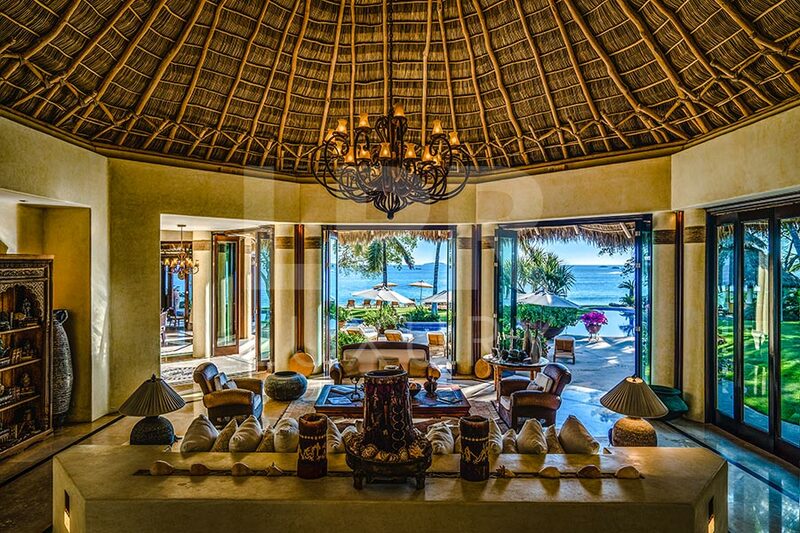 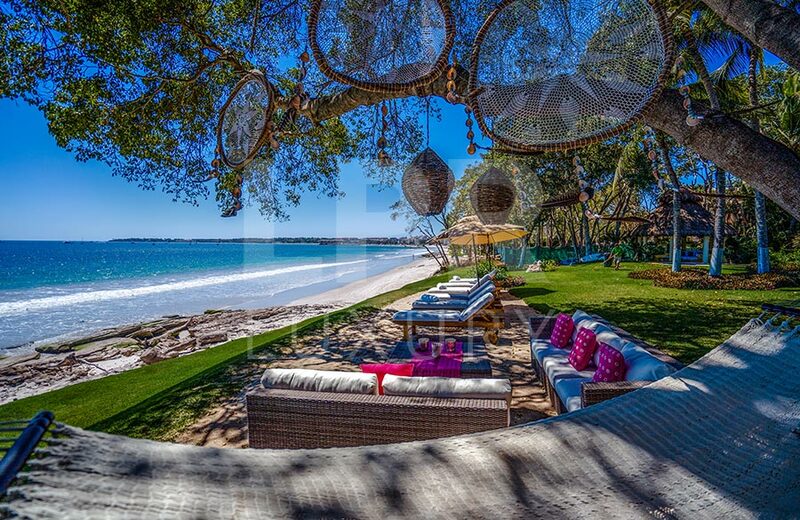 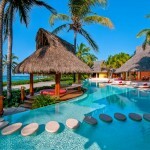 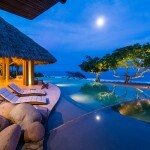 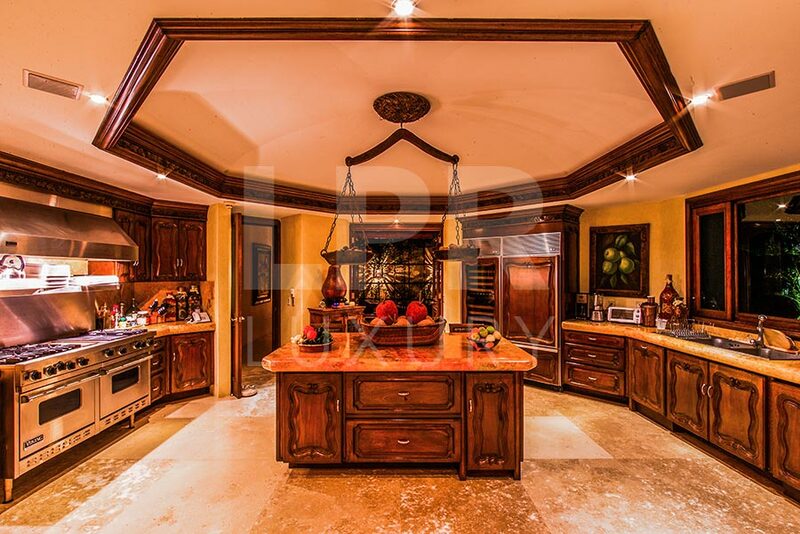 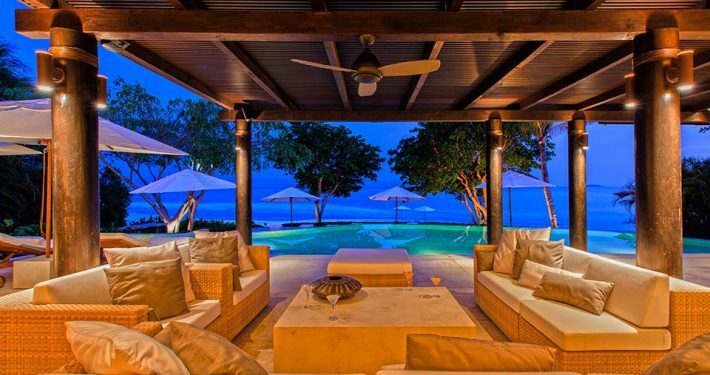 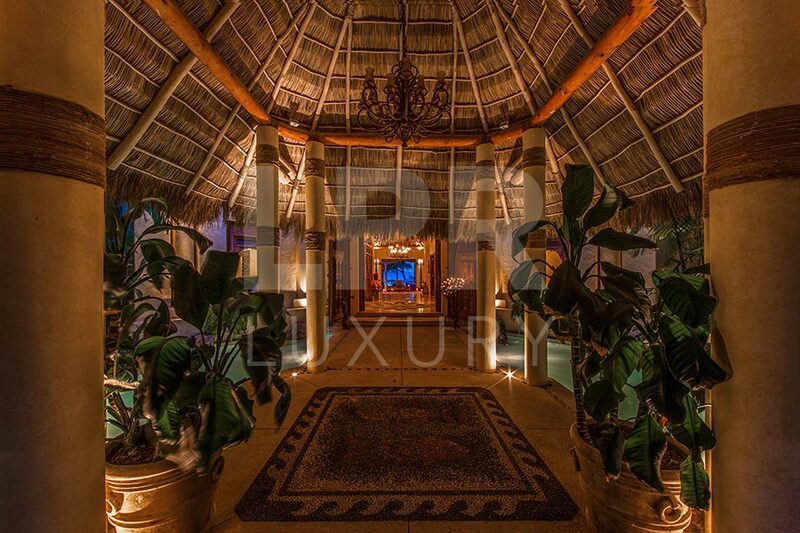 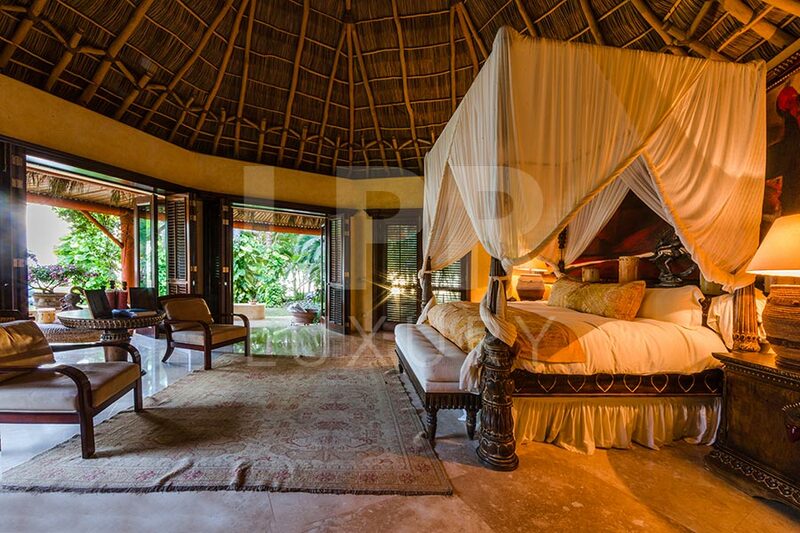 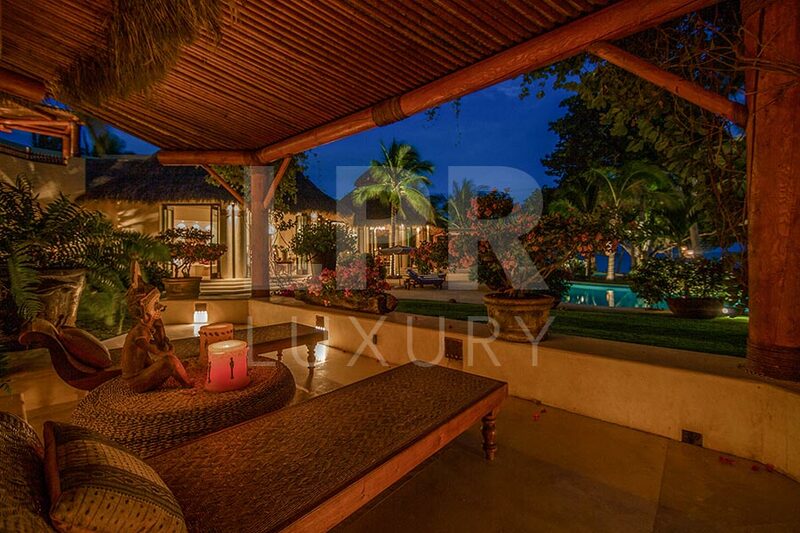 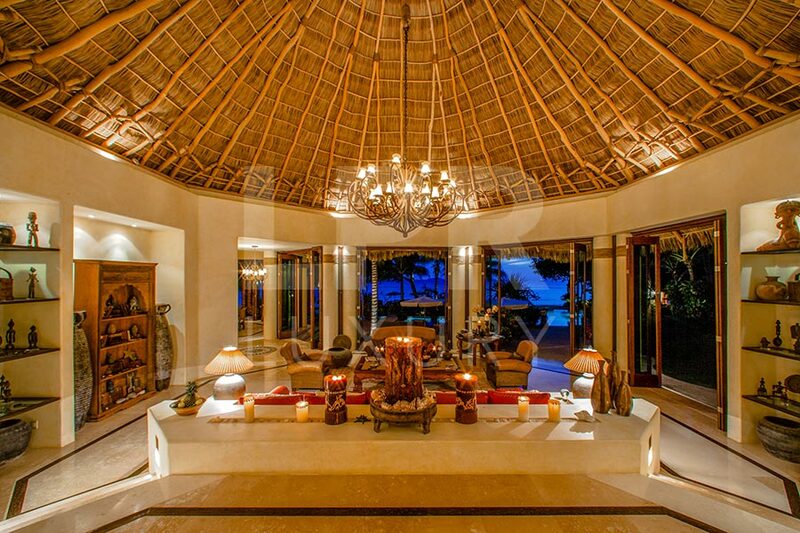 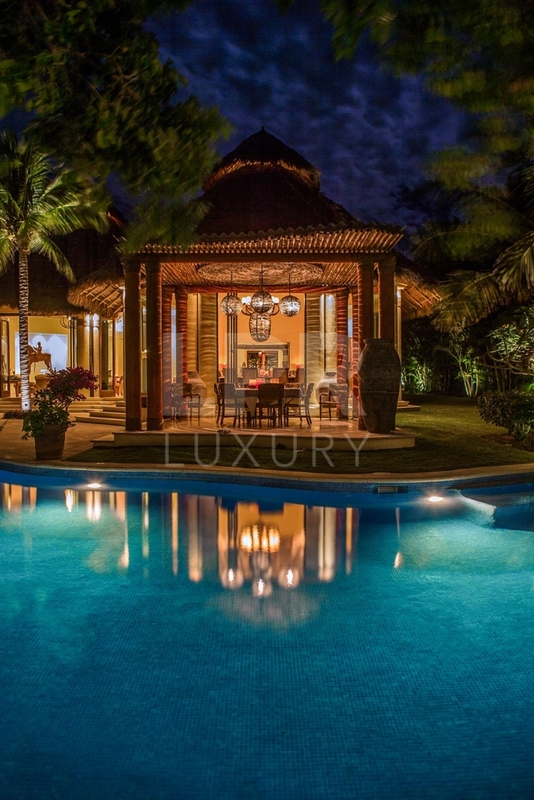 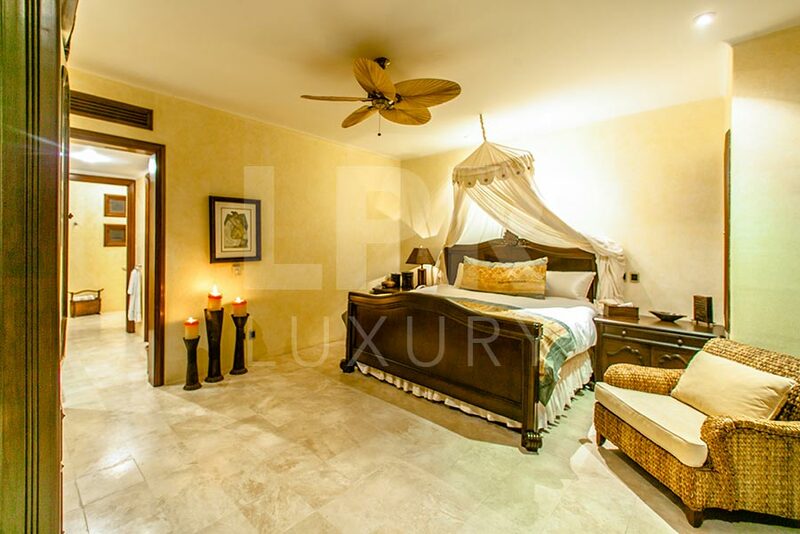 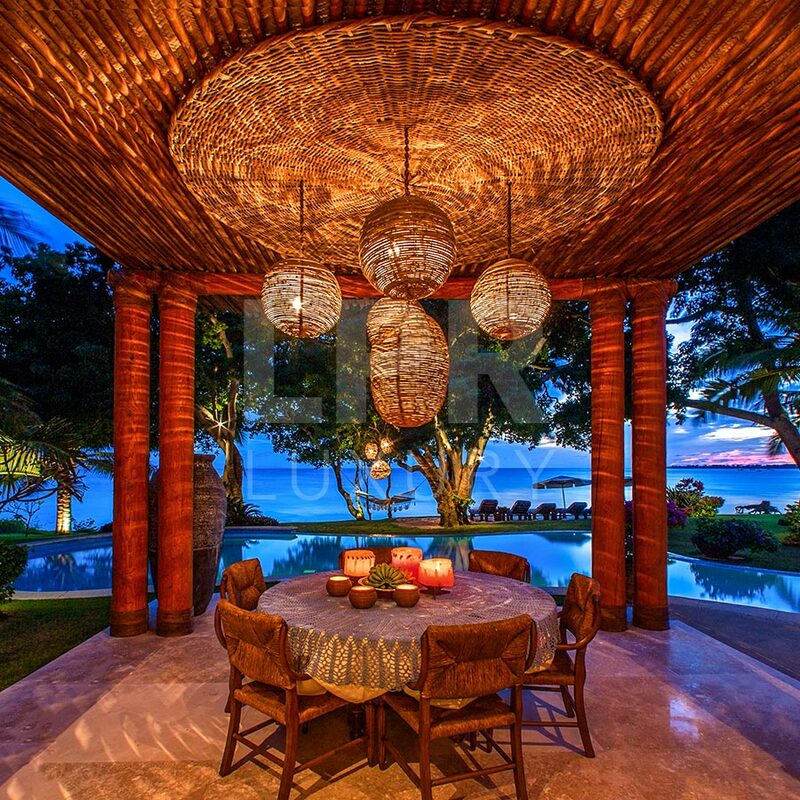 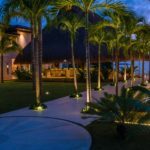 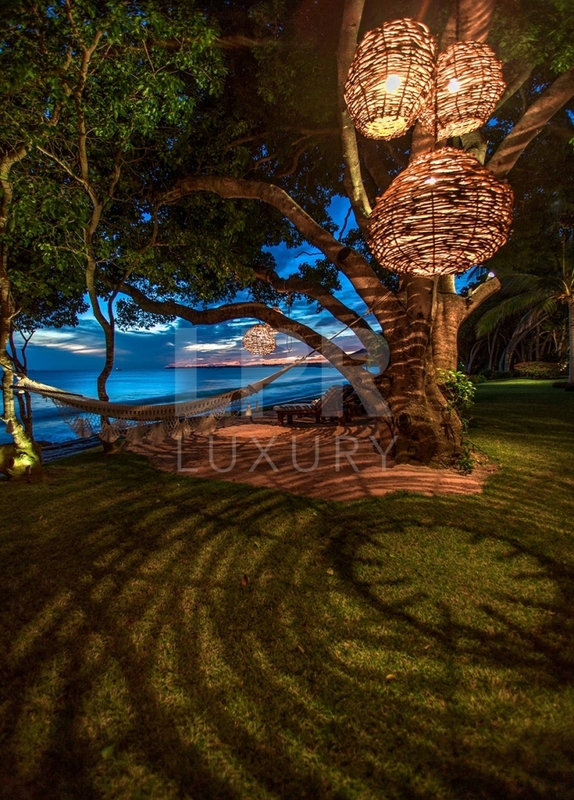 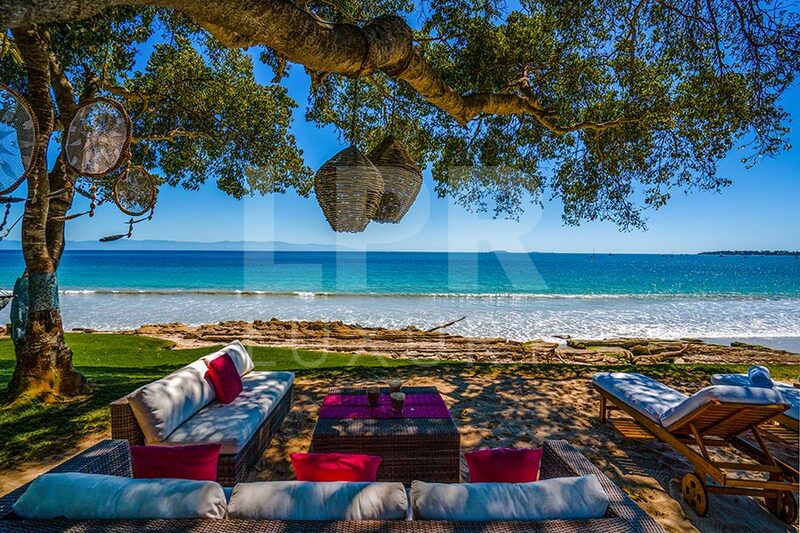 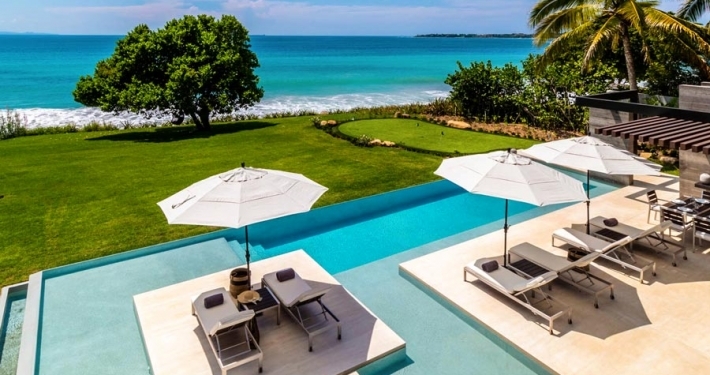 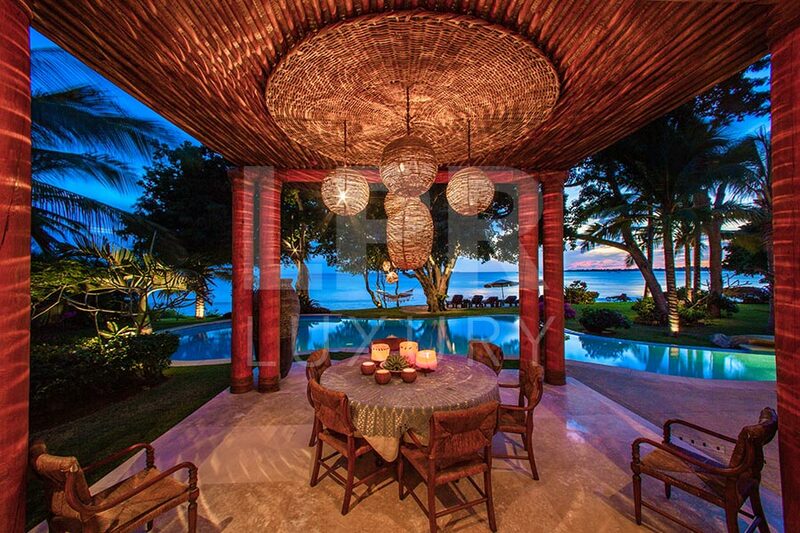 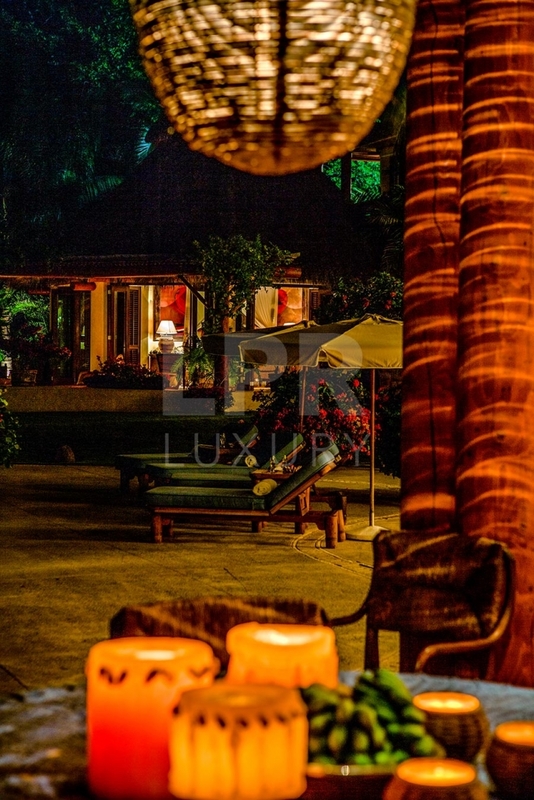 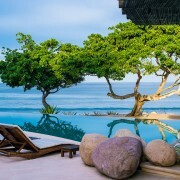 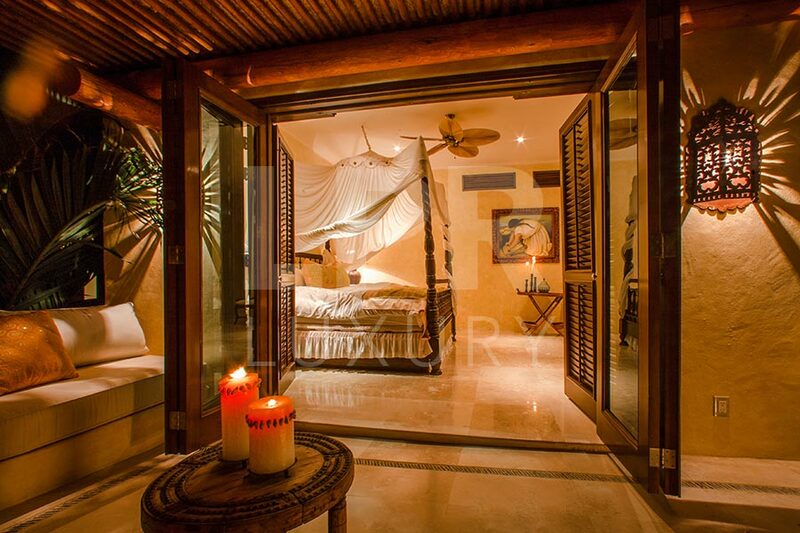 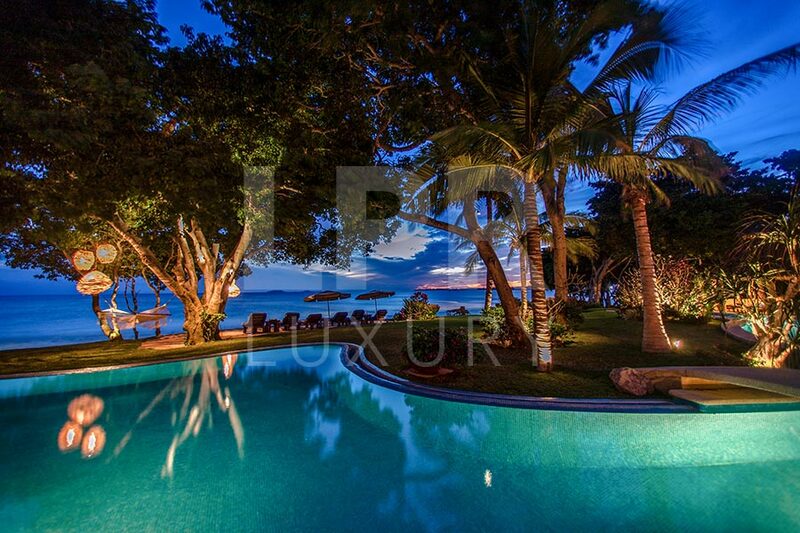 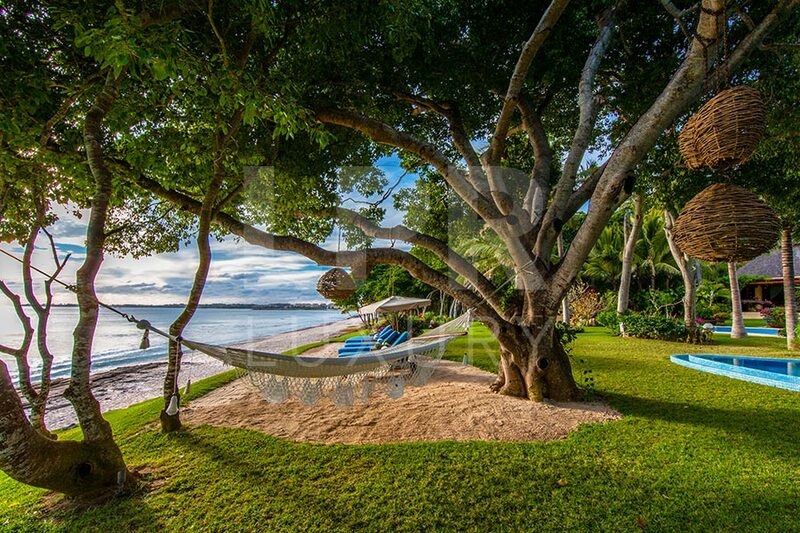 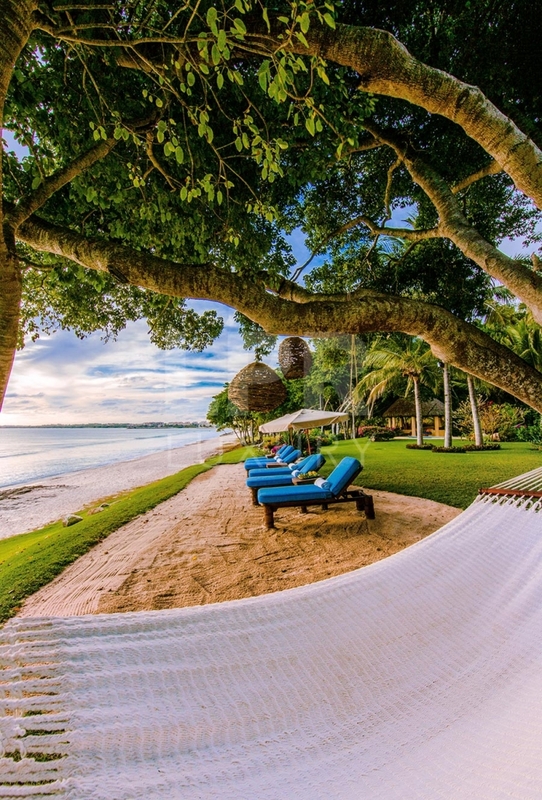 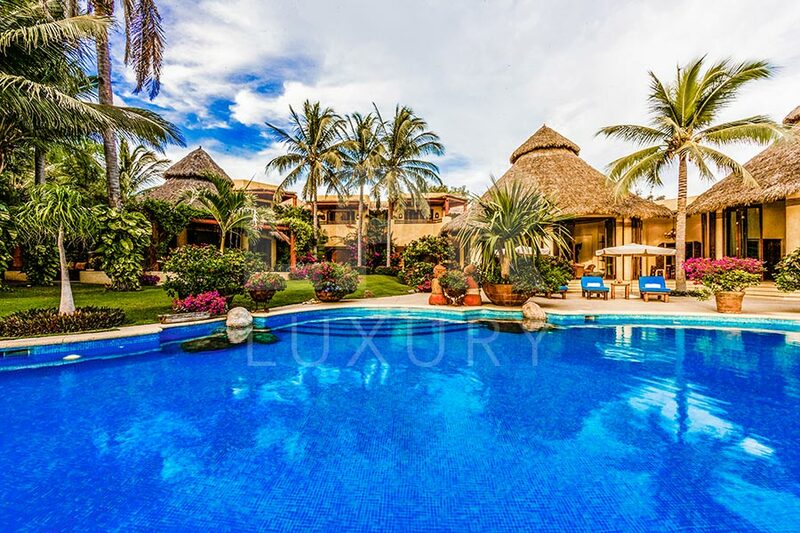 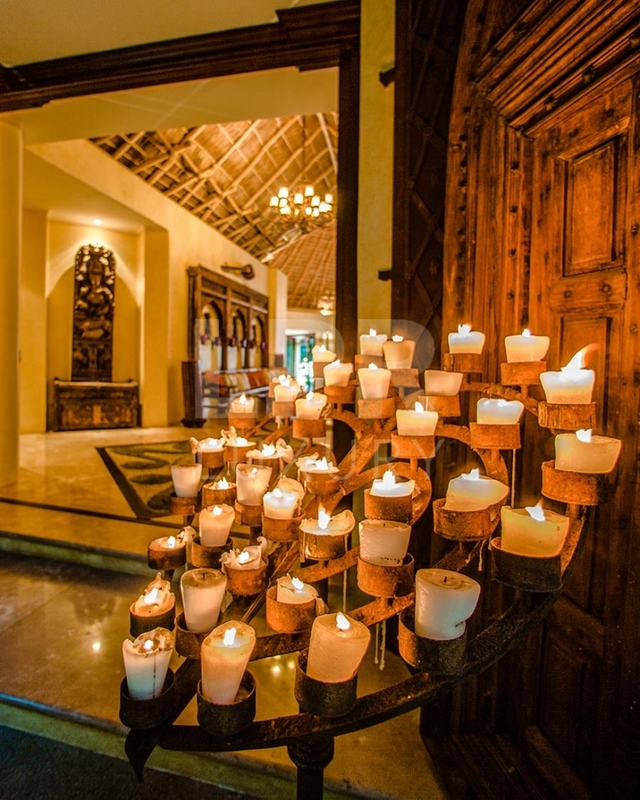 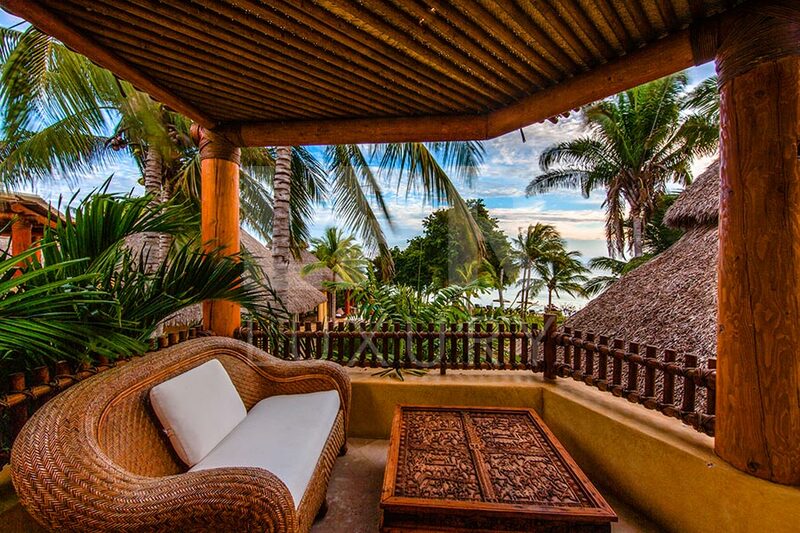 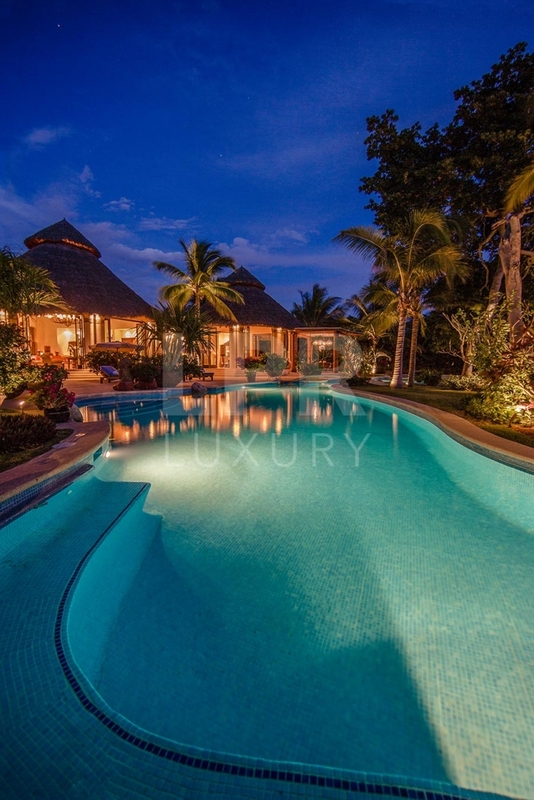 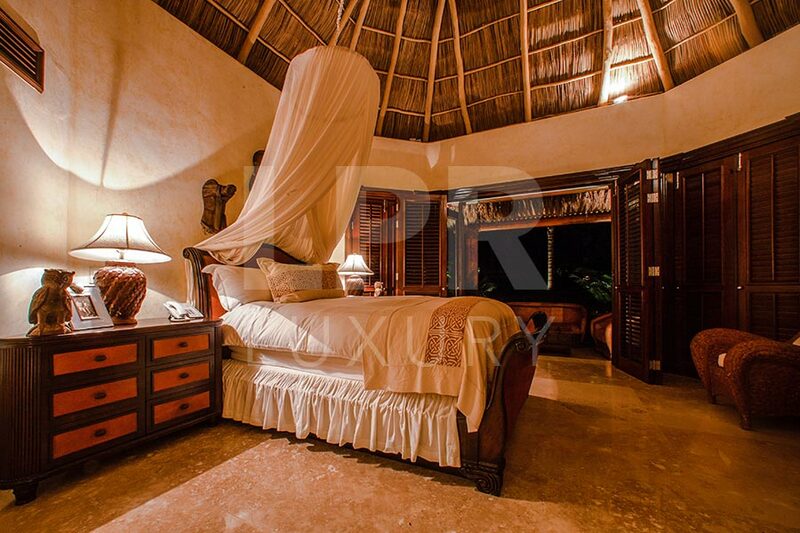 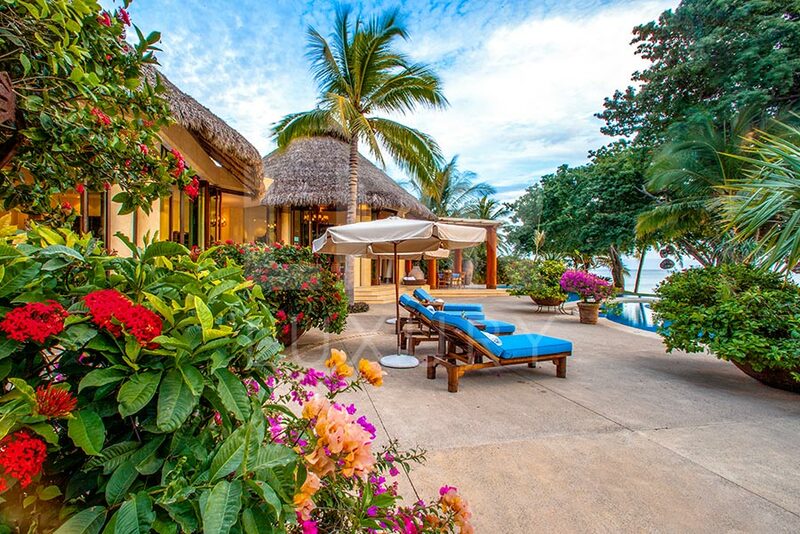 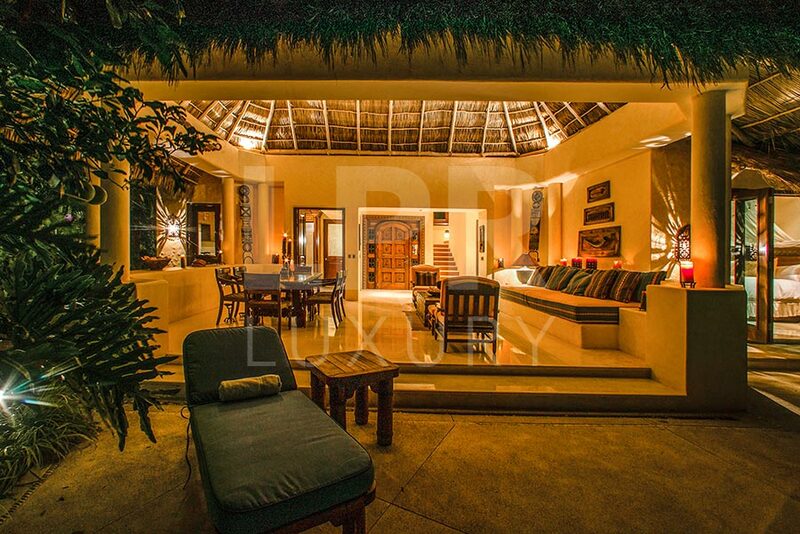 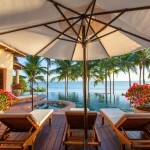 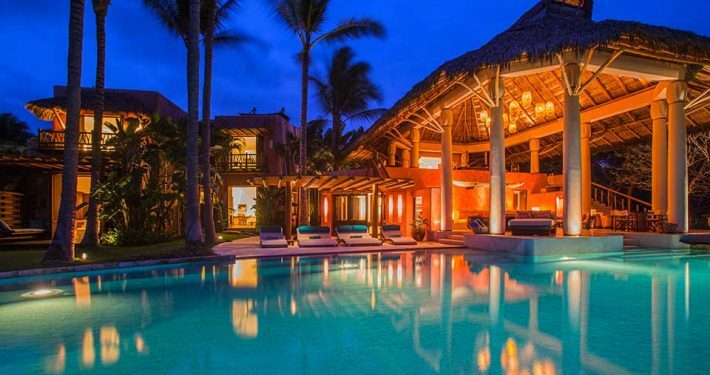 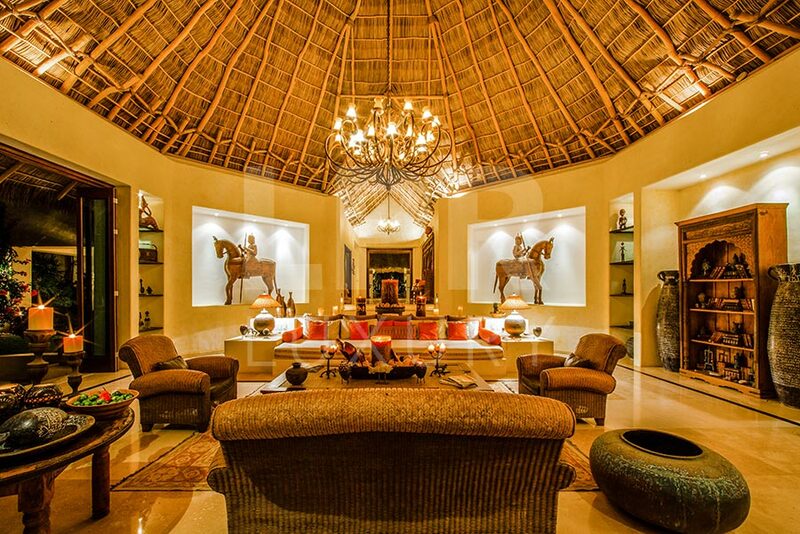 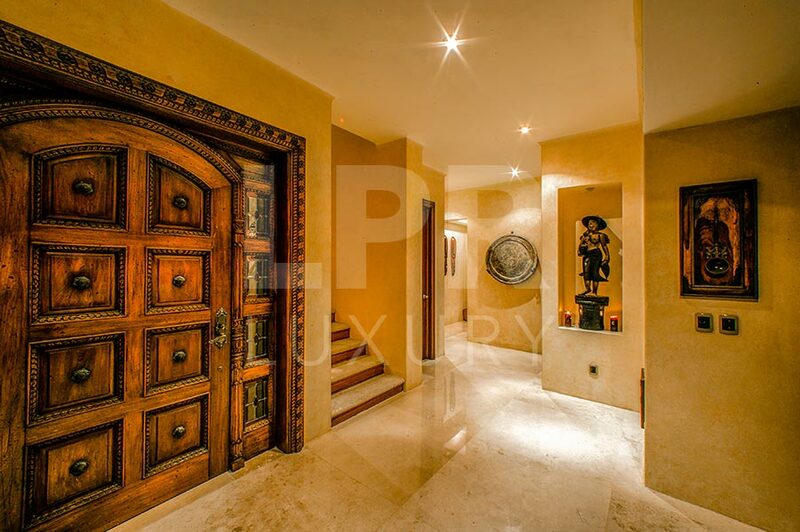 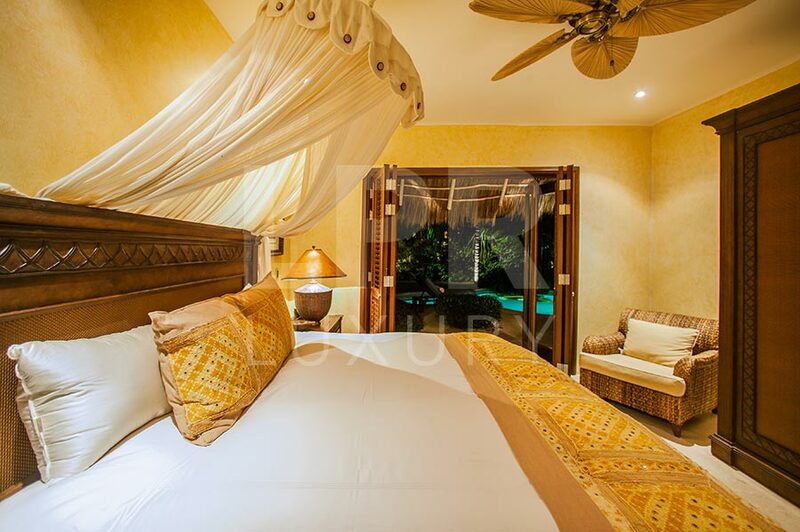 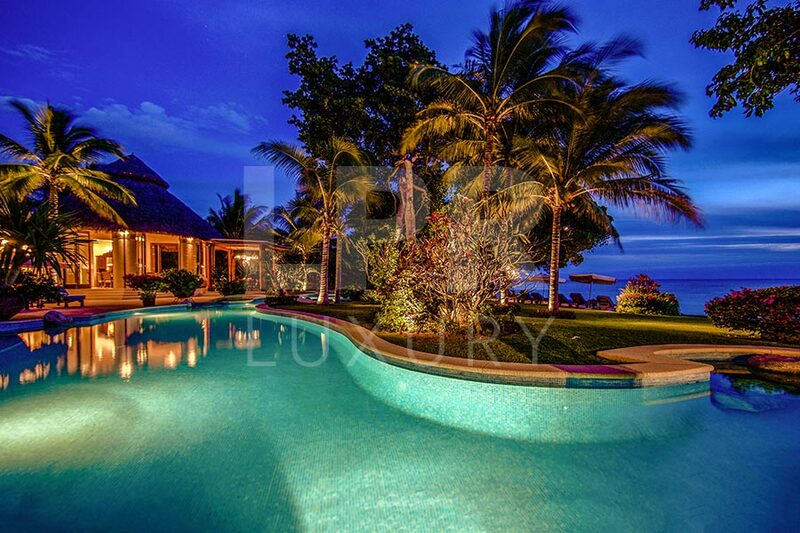 Villa Ranchos 3 is a fantastical and exotic luxury beachfront estate on the exclusive beach of Ranchos Punta Mita Estates within the famous Punta Mita Resort – Mexico. 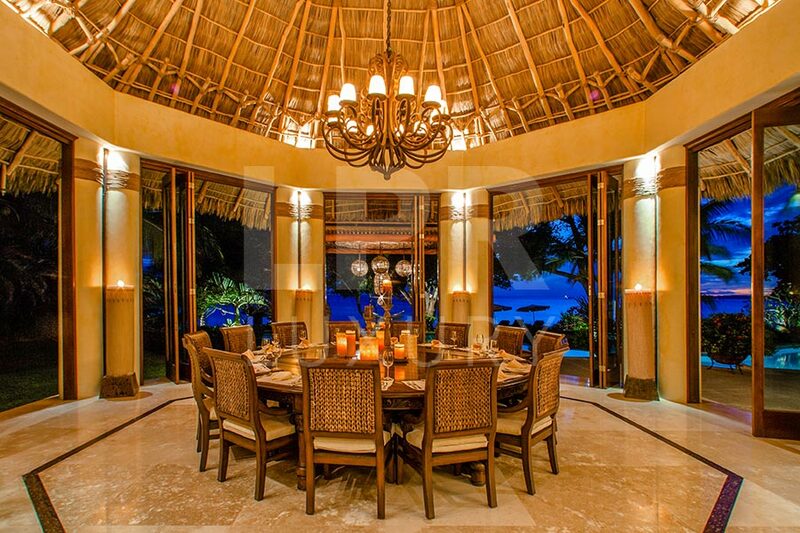 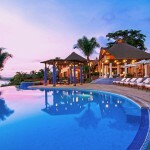 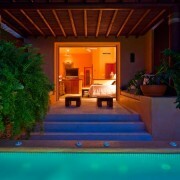 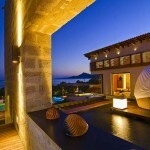 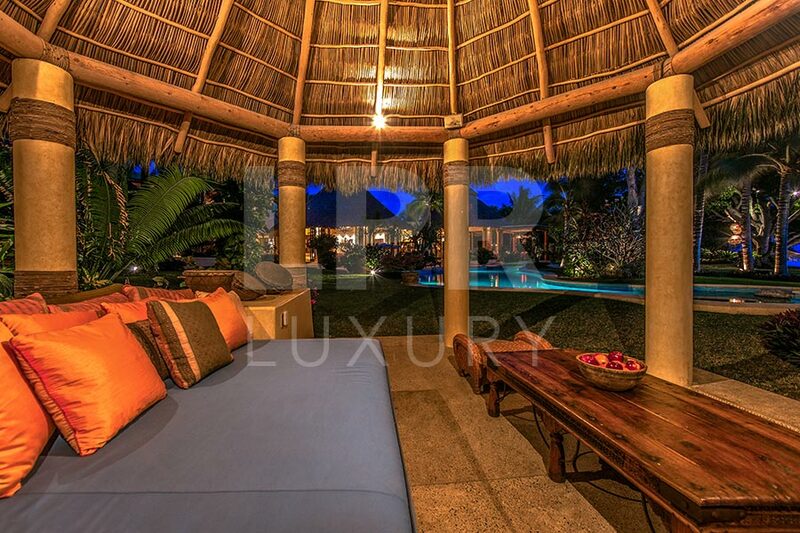 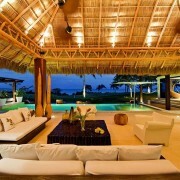 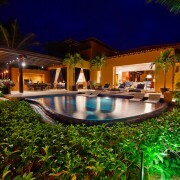 Experience the splendor of Pacific Mexican architecture, ultra luxury indoor-outdoor tropical living at its’ very best. 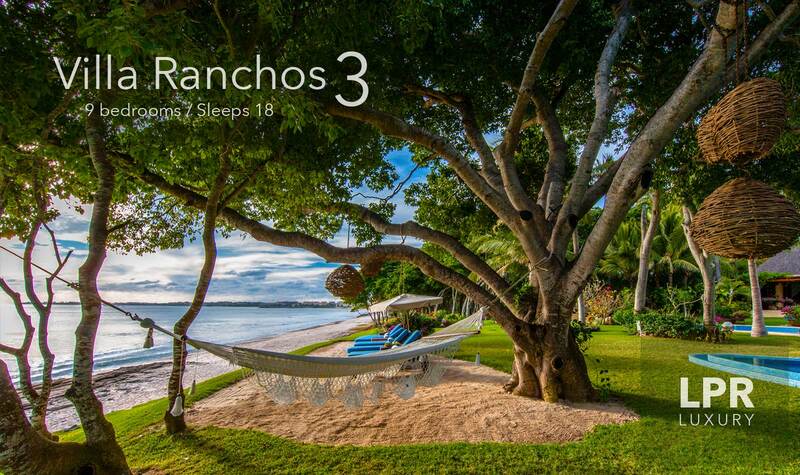 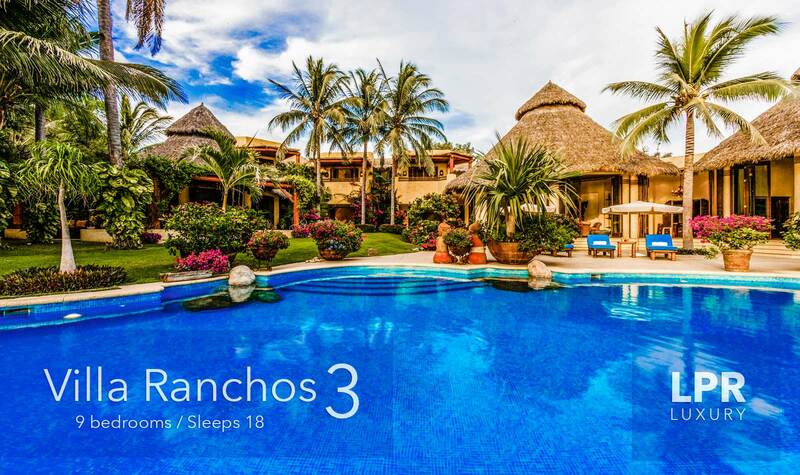 Villa Ranchos 3 is a sprawling garden of meandering trellis within lush tropical greenery and flora under soaring palapas. 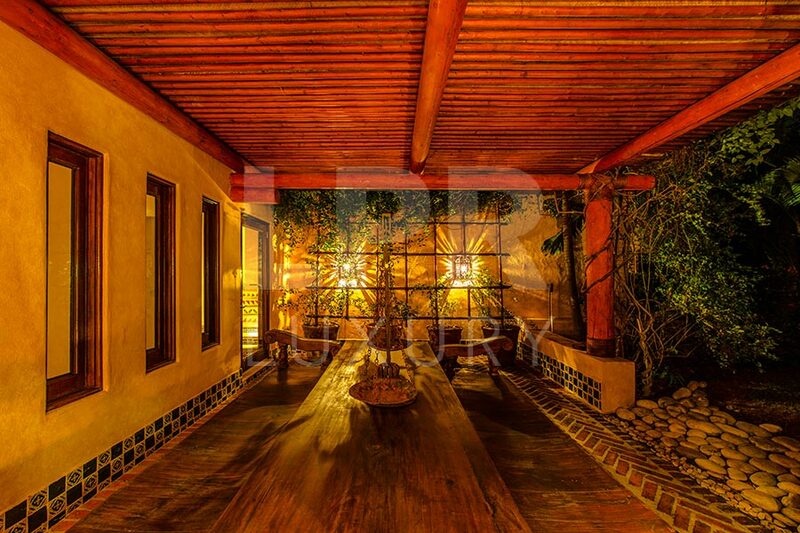 Rich interior decor send you far away to Asia and India under the Mexican shade. 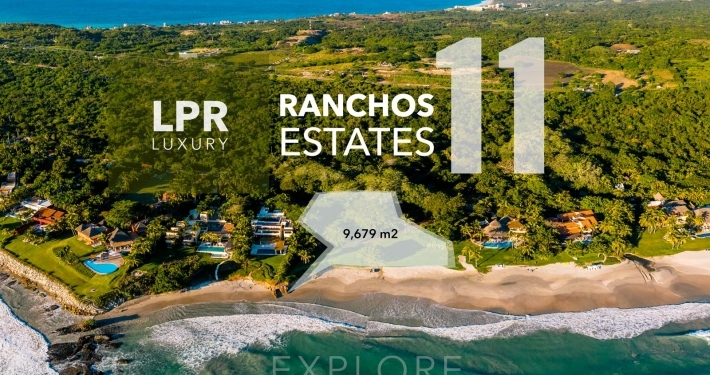 An open, fun and modern Punta Mita rental, Villa Ranchos 11 is a spectacularly stylish beach villa at the ultra exclusive and private Punta Mita Resort. 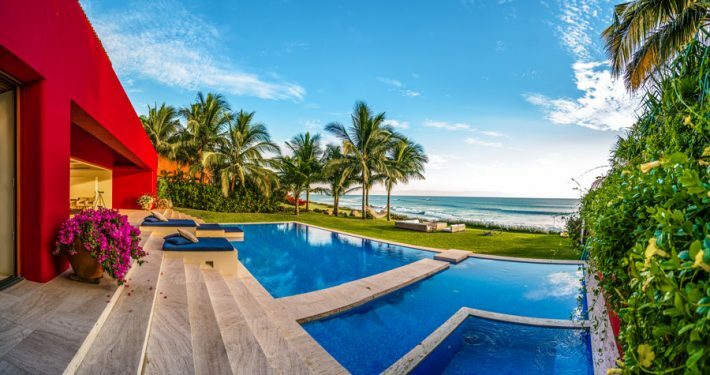 It offers guests over 10,000 square feet of indoor-outdoor living in a residence that smartly flows from interior to pool to beach. 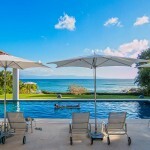 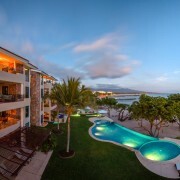 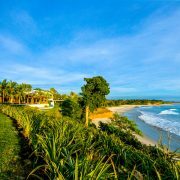 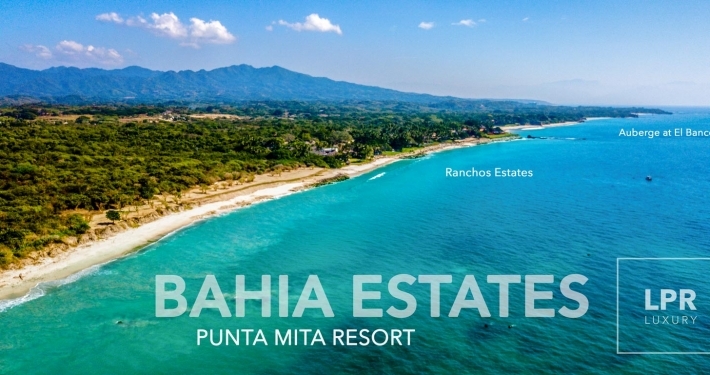 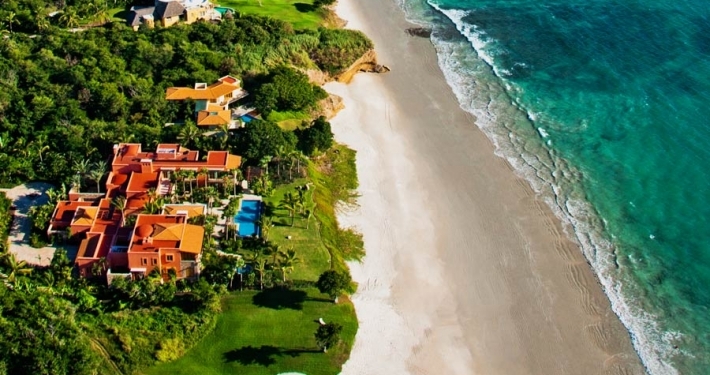 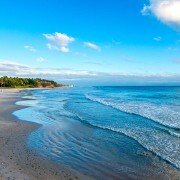 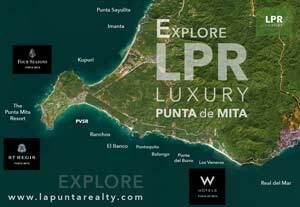 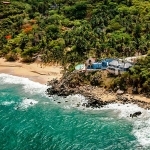 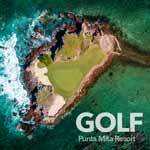 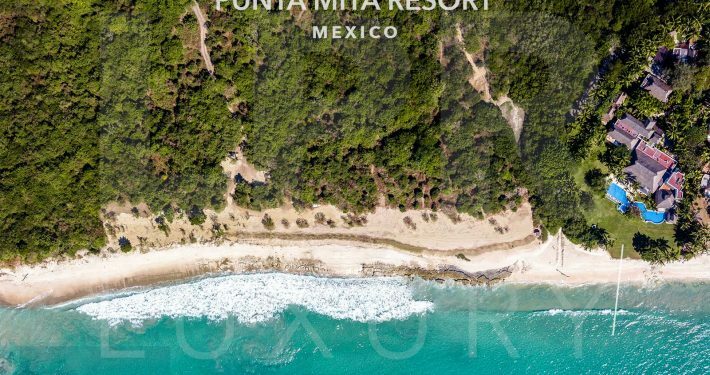 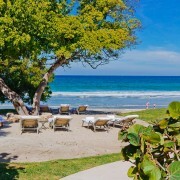 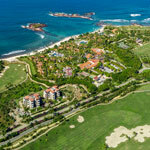 Close to the famous surf beach called "La Lancha" and one of the finest Punta Mita rentals, Villa Ranchos 20 is an exquisite and fun five + bedroom, 65,00 square foot luxury beach vacation villa in the exclusive and ultra private resort community of Punta Mita, Vallarta Nayarit, Mexico. 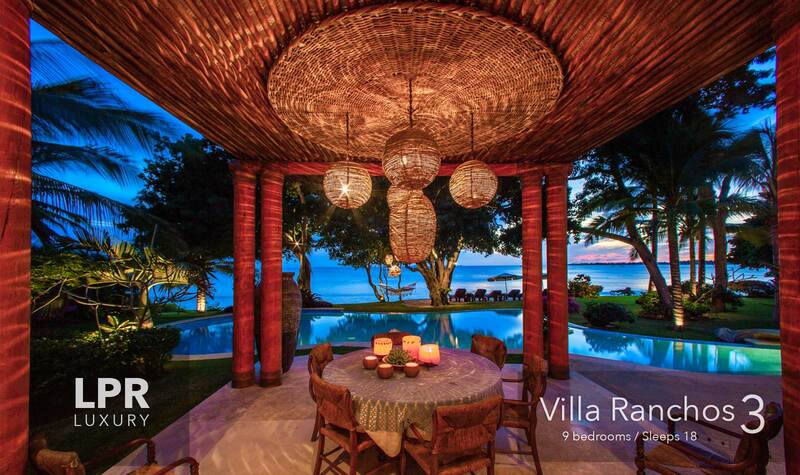 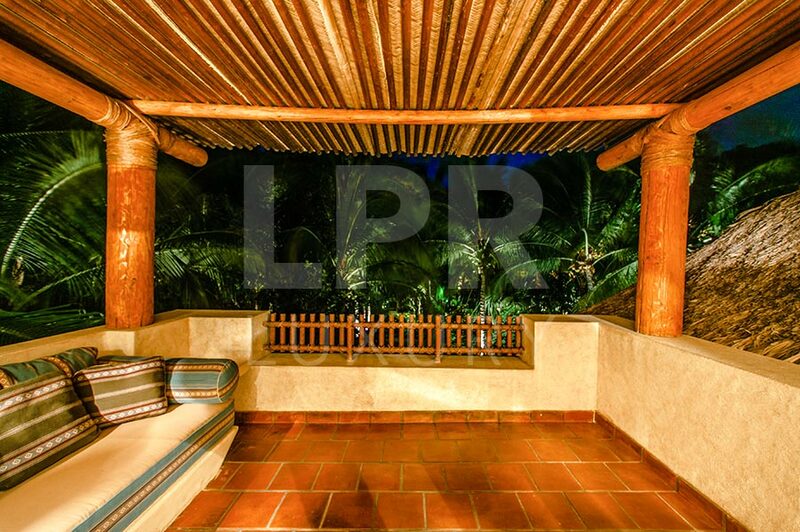 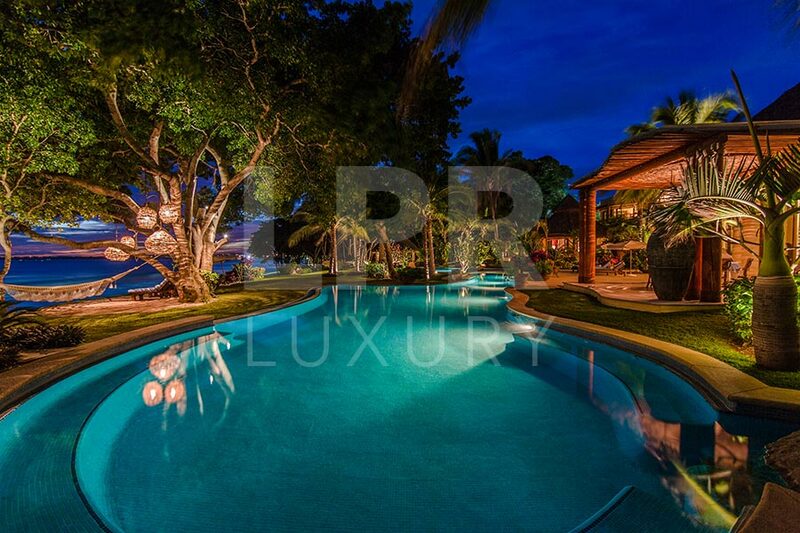 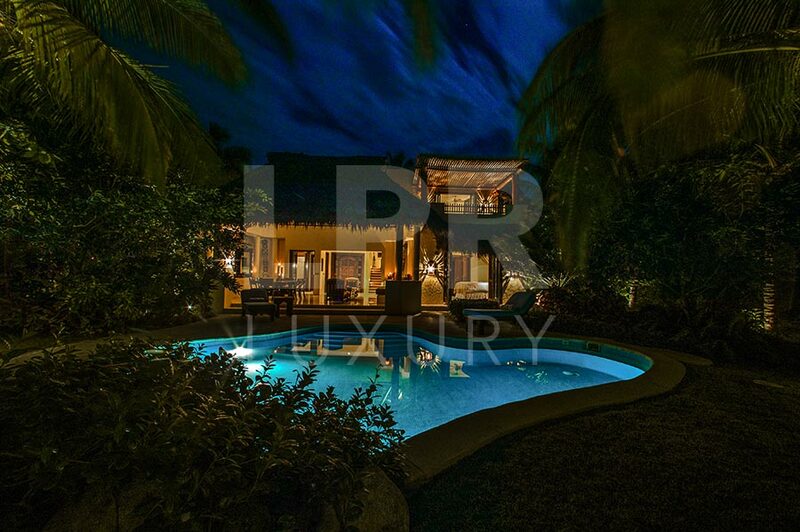 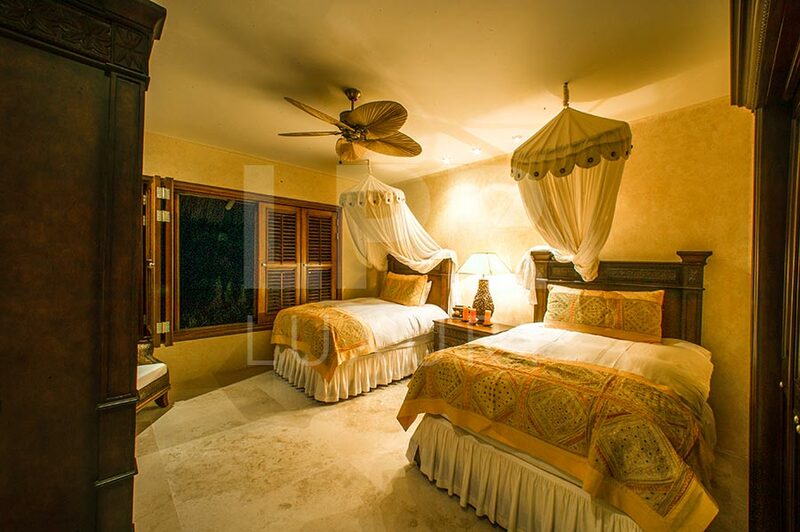 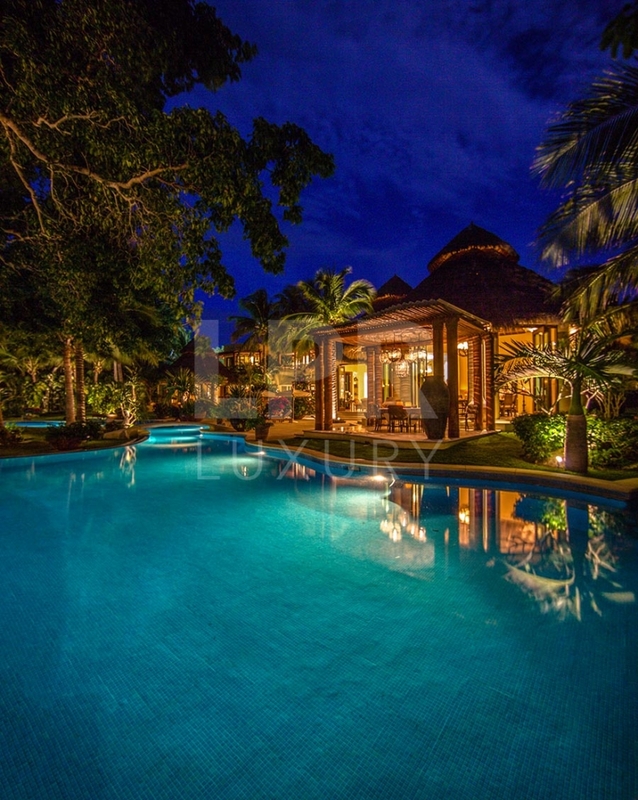 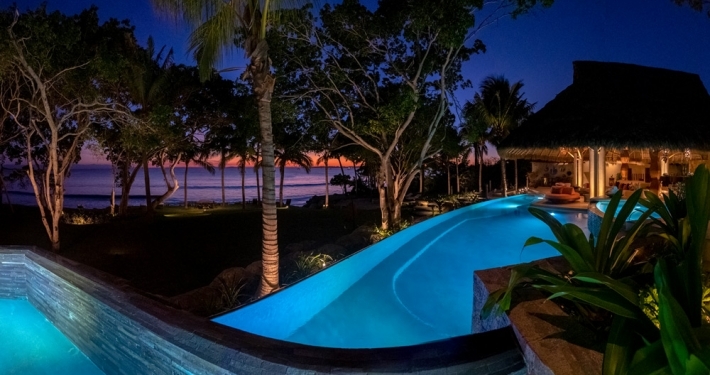 Villa Rancho 6, beachfront villa, sleeps 10, located in Ranchos Estates, the most high-end part of the prestigious Punta Mita resort located where the Pacific Ocean meets Banderas Bay, and just forty minutes Puerto Vallarta airport. 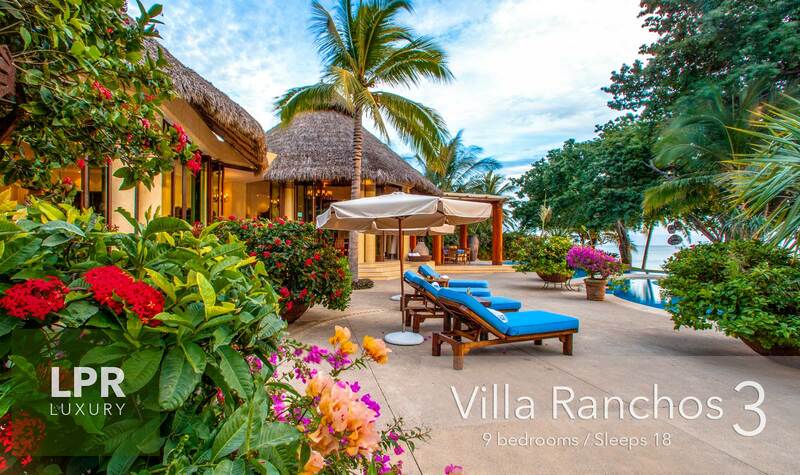 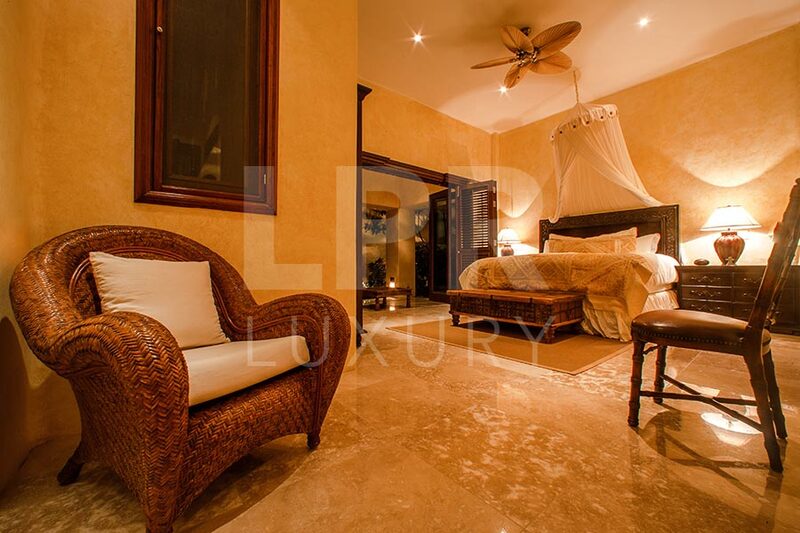 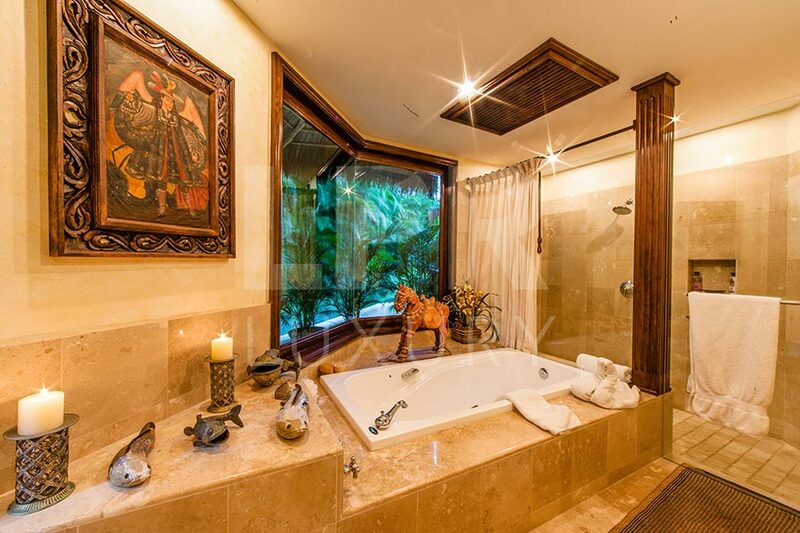 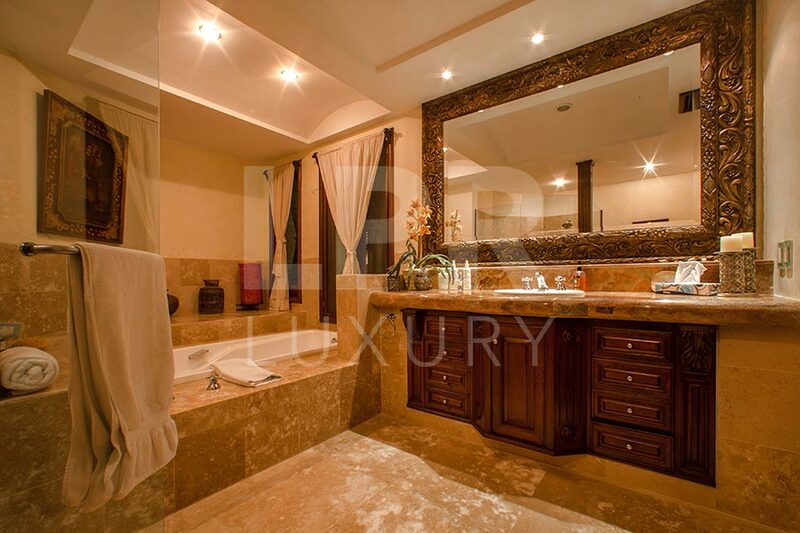 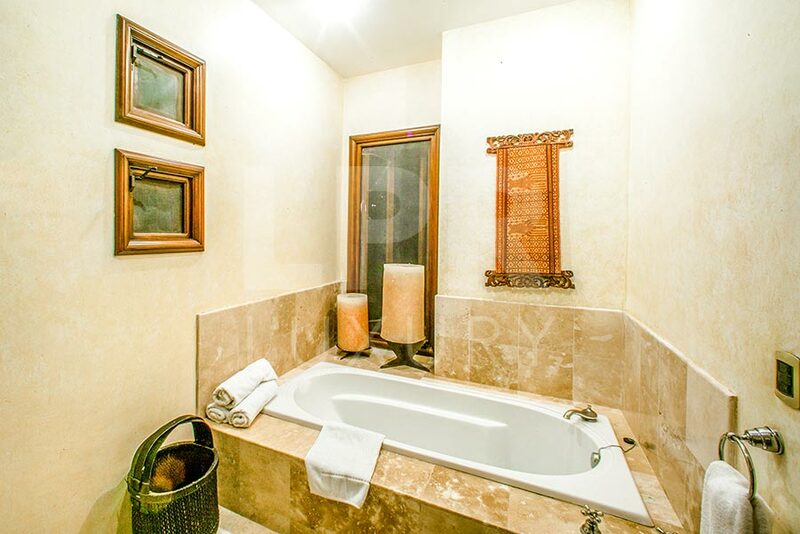 Villa Ranchos 21 is a luxurious and exotic five bedroom vacation rental beach house on the finest beach in the Puerto Vallarta area. 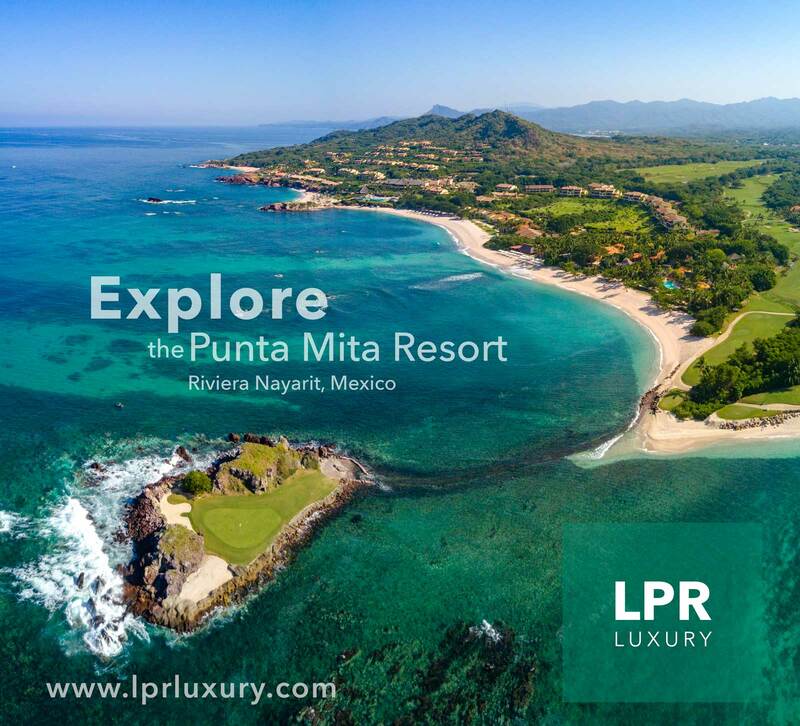 Enjoy a private elevated poolside view to the Bay of Banderas and the Marietas Islands in style within the exclusive Punta Mita Resort, home to the St. Regis and Four Seasons hotels. 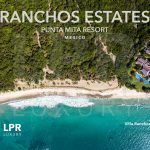 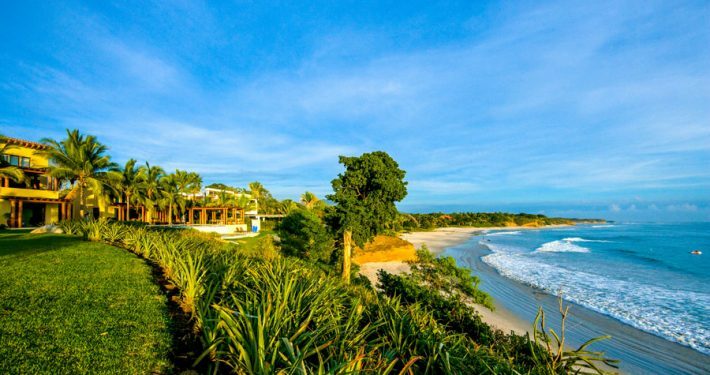 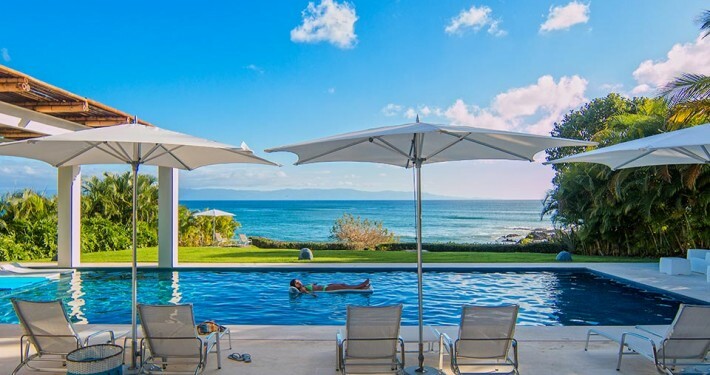 This Punta Mita vacation property is comfortable luxury for families on exclusive Ranchos Estates at the St. Regis / Four Seasons Punta Mita Mexico resort, Villa Rancho 22 is the perfect combination of beauty, spaciousness, luxury, and a welcoming spirit. 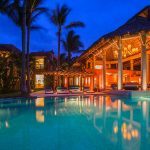 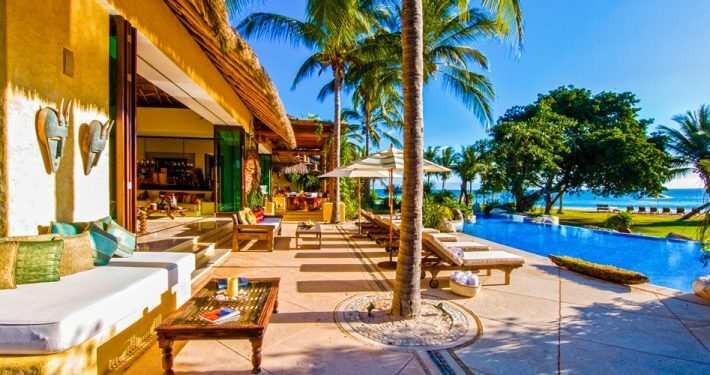 This is Villa Ranchos 12, a cocoon oasis of beachfront luxury situated in Punta Mita, where some of the best surfing and deep sea fishing in Mexico, and where your party can experience the ultimate Mexican estate. 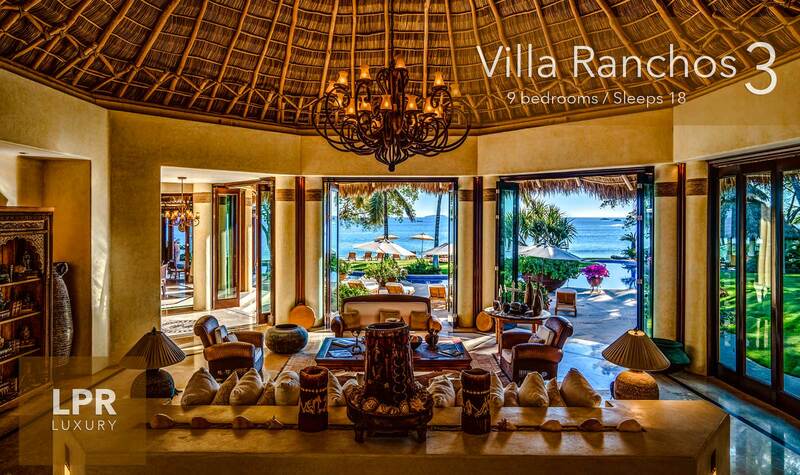 A holiday at Villa Ranchos 19 - Punta Mita Resort is sitting in your large heated infinity pool with cascading view to the Marietas Islands and a pristine white sandy beach. 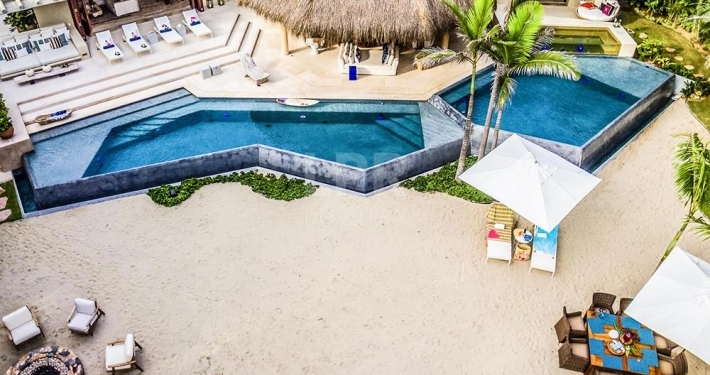 This newly re-imagined two level luxury vacation villa on famously perfect Ranchos beach is a study in precision and minimalist detail. 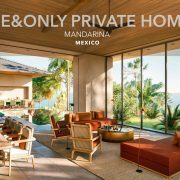 A joy to explore, dramatic open living spaces welcome the sun via picture window views of tropical paradise, the Marietas Islands and the year round sunset. 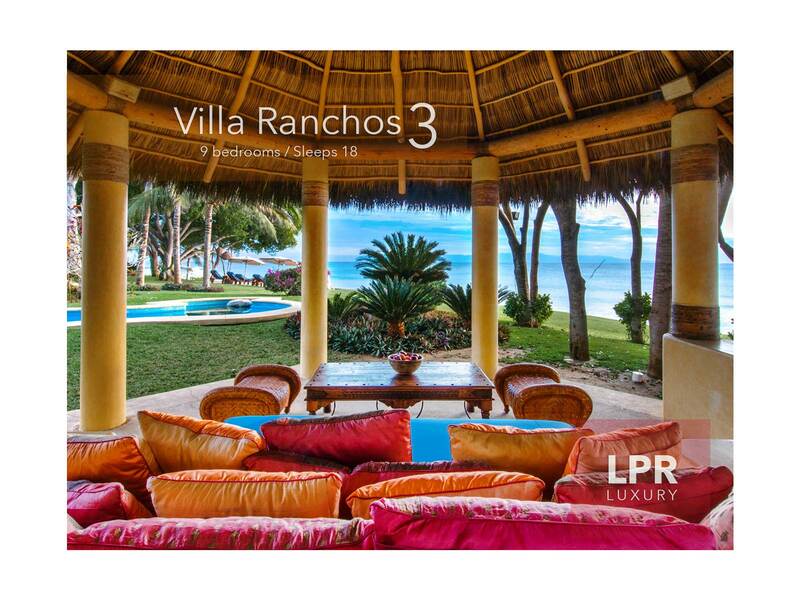 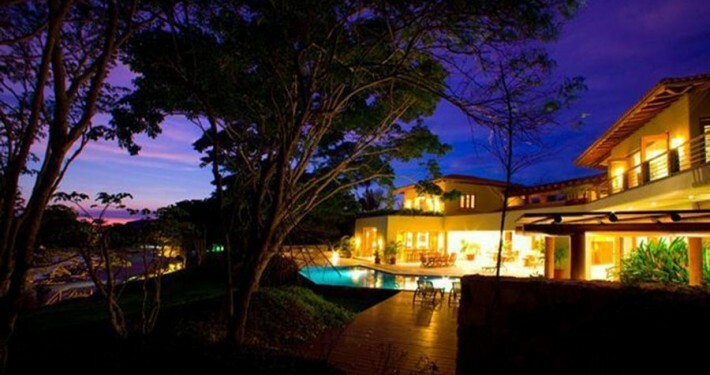 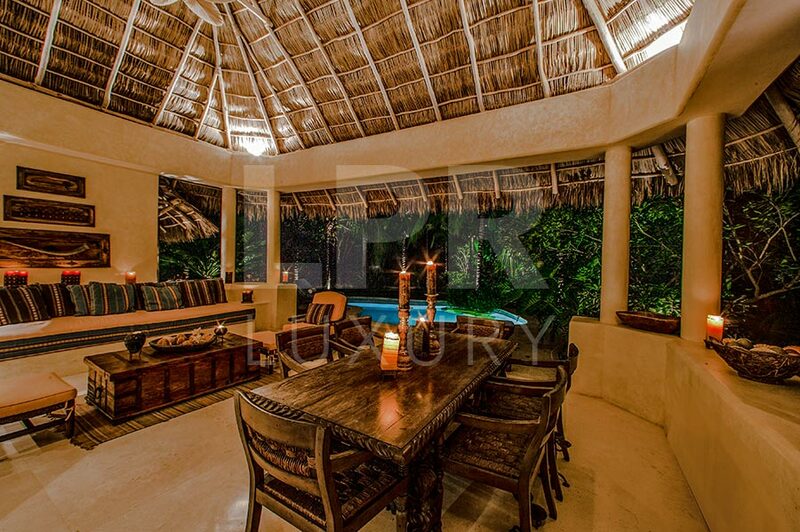 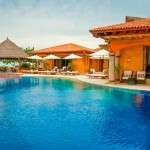 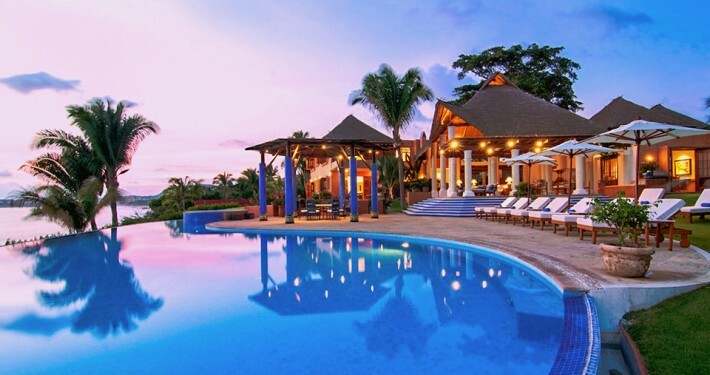 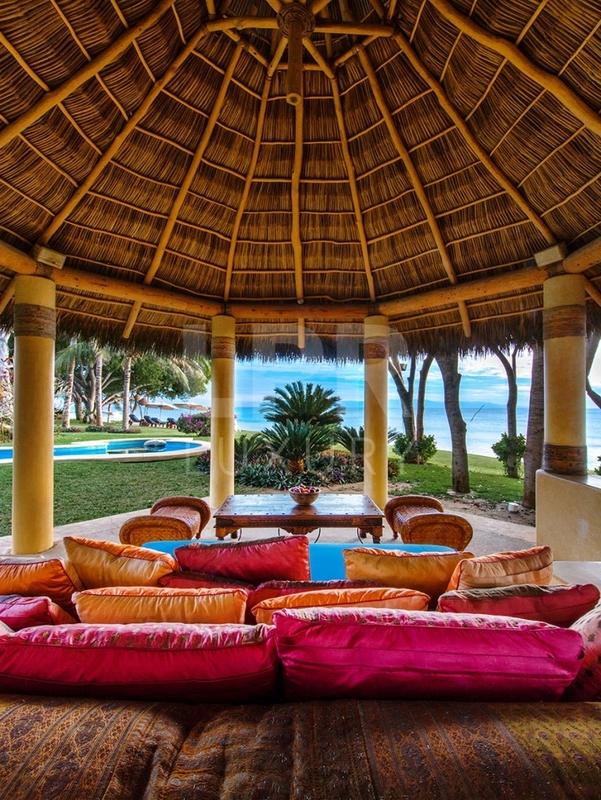 An ambrosia of sunny colors, Villa Ranchos 15 is exotic, luxurious and will capture your heart. 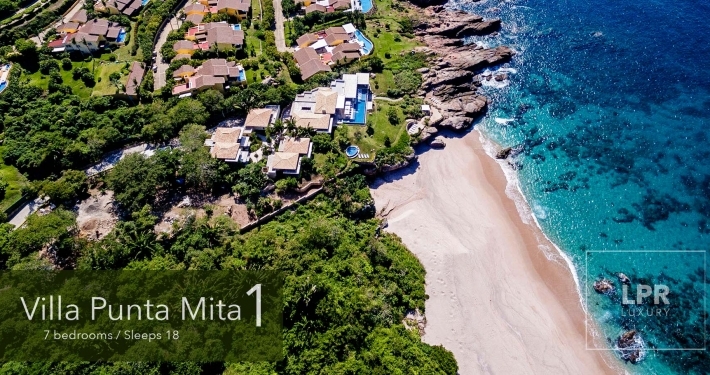 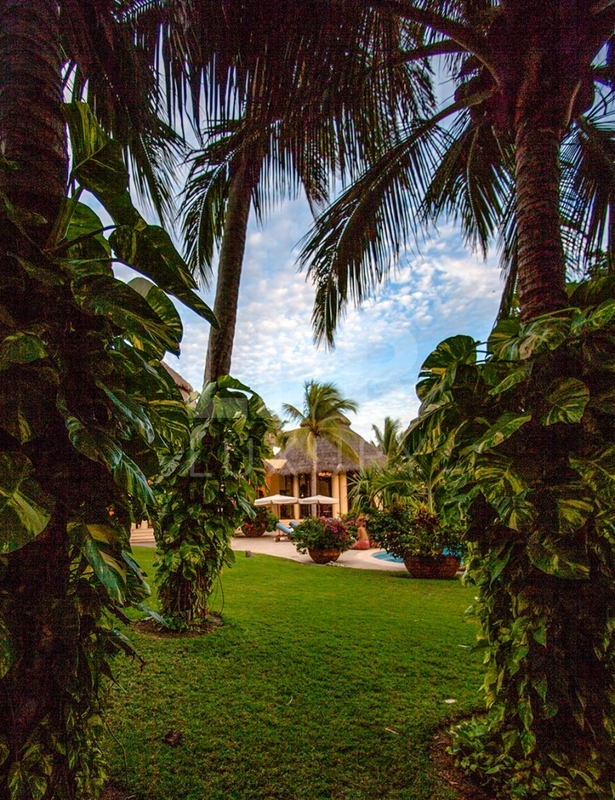 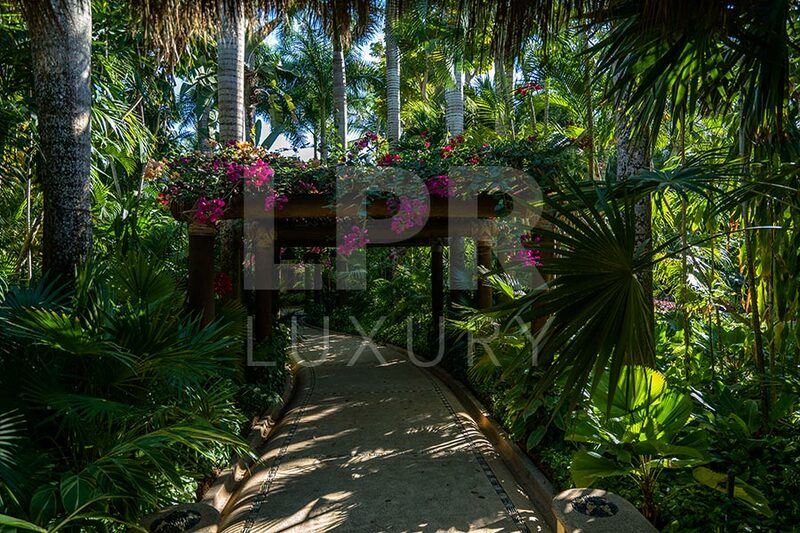 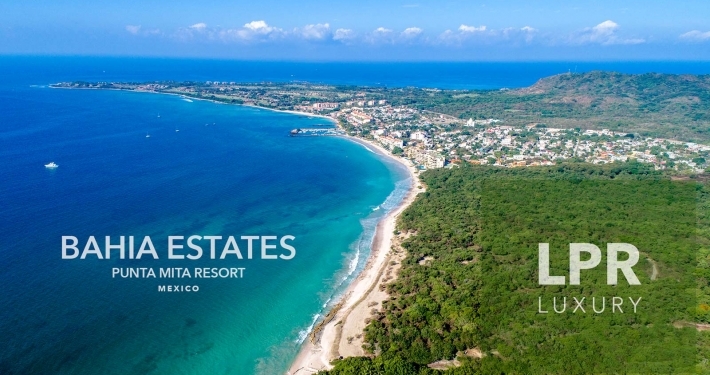 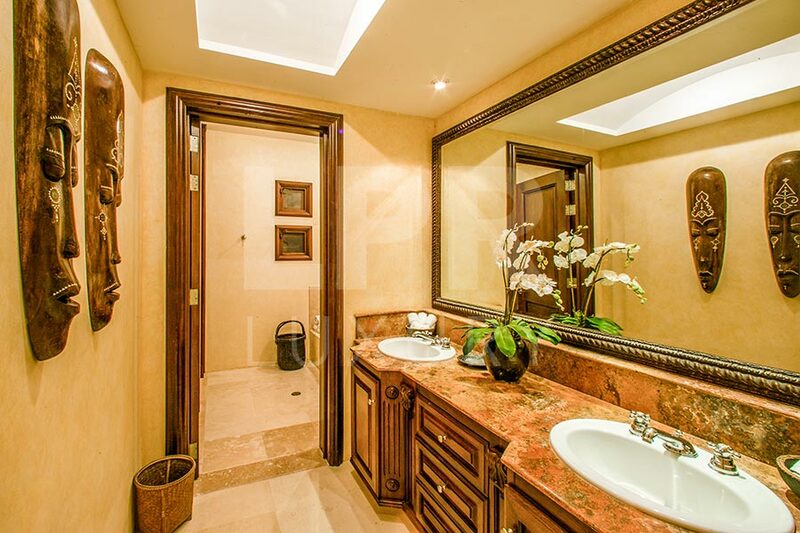 Located in the exclusive Punta Mita gated community, just 35 minutes north from Puerto Vallarta, this beautifully landscaped estate is bright with colorful flowers and lush vegetation. 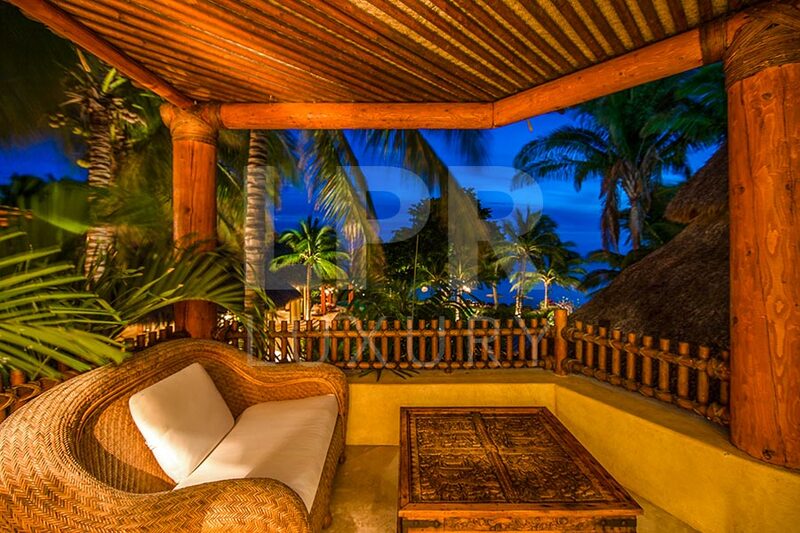 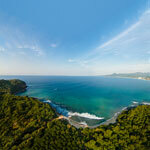 It’s verdant color is a gorgeous complement to the sugar-white sand beaches and brilliant blue ocean.